Less than half the population living between the Mediterranean Sea and the Jordan River will determine the fate of millions of Palestinians without citizenship and basic rights, in an election process marked by exclusion and racial incitement. 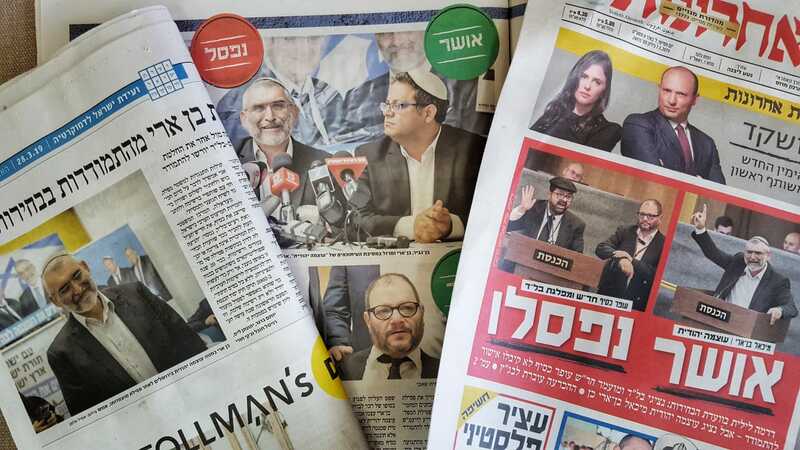 The Israeli national elections for the 21st Knesset is taking place in the shadow of the Jewish Nation-State Law which constitutionally enshrines the Jewish superiority that has existed in the State of Israel since its inception in 1948. These elections are characterized by a severe escalation of political exclusion and a violation of the freedom of political representation of Arab citizens of Israel and of the Palestinian people as a whole. In our position paper, Adalah argues that this law is illegitimate and in effect constitutes a colonial regime with clear apartheid characteristics. The legal struggles that Adalah conducted during the election campaign indicate that the spirit of this law is already present in the heart of the Israeli system. Hearings on the disqualification of Arab candidates and lists from the Knesset elections, in which Adalah represented Dr. Ofer Cassif and the Hadash-Ta'al and Ra'am-Balad lists, revealed – despite sweeping victories in the Supreme Court – a process, racist to the core, that preserves a master/slave relationship and that prevents elected Arab officials from actualizing their political vision or even challenging the opinion of the Israeli Jewish majority. In these elections, we again appealed to the Central Elections Committee, demanding the placement of ballot boxes in unrecognized Bedouin villages. We repeatedly argued that Israel's refusal to provide transportation for citizens forced to embark on prolonged and inhuman journeys from their communities to polling stations – without even access to public transportation – is a violation of their basic constitutional right to vote. We see in this election cycle a continued undermining of the political rights and representation of Arab citizens expressed in earlier elections by, among other ways, a raising of the voting threshold for entry of Arab parties into the Knesset, and via a law aimed at restricting the freedom of expression and political space of Arab elected officials. Throughout an election campaign characterized by de-legitimization of the political representation of the Arab-Palestinian public in Israel and unbridled incitement against its voters and representatives, Adalah stresses out that this racism is not the exclusive domain of any one nationalist-fascist political camp, but rather of the Israeli political system itself. Adalah will continue to fight against this system and against racist legislative initiatives and annexation laws in the 22nd Knesset.